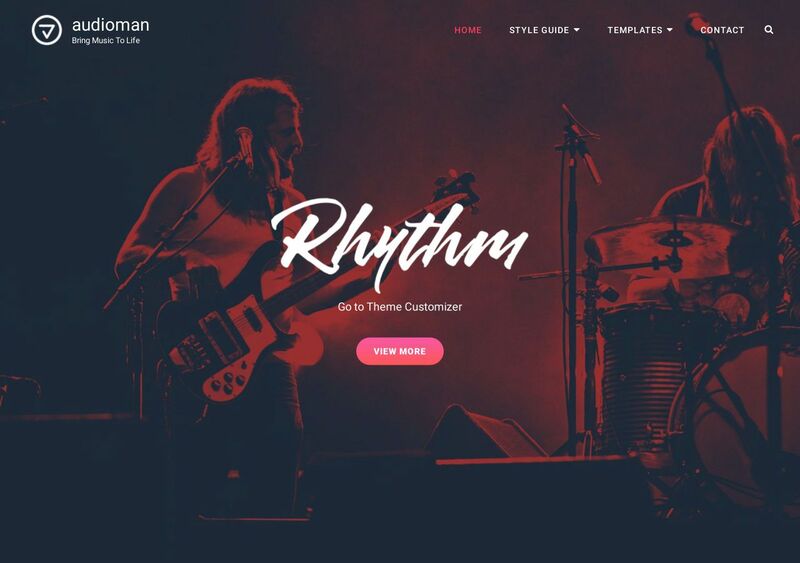 Audioman is described as a free music theme that helps to bring your music to life! In a digital setting no less. And we can’t disagree with this statement. Combining each unique page, element choice, and overall structure — we find Audioman to be a wonderfully presented theme. It’s main audience target is largely musicians — individuals and bands — but also people who work in a creative field. Your fans can listen to music previews live from the homepage, and you can create a listing of your upcoming events. Many accomplished musicians will tell you that starting a website was a massive turning point for their careers. More people use smartphones and computers to access the web than ever before. And that kind of growth creates demand, and this demand hopefully leads to your web page. Authentic, crafty, spectacular, and engaging are the keywords we feel best present this marvelous theme.